← Need Help with Parallel Parking? People who know me know that I have an unhealthy obsession with pens and pencils. And, when it comes to pens, I love fountain pens. There is just something about them, classic and traditional … a high quality writing instrument in the age of keyboards and touchscreens. So it should be no surprise to anyone that I decided to begin a quest to discover what kind of fountain pen Albert Einstein used during his glory years of scientific discovery. 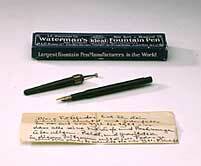 The pen of choice for most people in the late 19th and early 20th Centuries was the fountain pen. Today, a fountain pen is seen more as a luxury than a necessity, but back then, the fountain pen was the workhorse of anyone using a pen. So, when I decided to find out more about this pen, I first visited the Fountain Pen Network (FPN). This is a bulletin board dedicated to talking about all things fountain pens … it is one of my favorite sites! So, I guess that’s it. The easiest quest ever, right? Not so fast. This photo is from 1940, and despite it being Einstein’s pen, it is very unlikely the pen that Einstein used to develop his most famous theories. And, let’s face it. It would be so much cooler to see that one. According to the FPN, it is a Waterman Taper-cap. Have I mentioned how much I love the FPN?!? So, finally, my quest ends. Right? Not really. This is certainly the pen that he used but, look at the picture. It’s so small. I just wasn’t happy with it. I really needed to see this pen close up. So I had no choice but to continue my quest. Finally, after hours of searching, I came across a video tour of the Boerhaave Museum in Leiden where the pen is currently located. As I watched the video, understanding none of it (it is in Dutch after all), I saw it. There it was. The docent pulled it out of the vault and placed it on the table. I was blown away. Such a simple and unassuming pen. This is the pen that helped Einstein to redefine the Universe as we know it. It was an amazing moment. Below is a screenshot of the pen from the video. Enjoy! Well, there you have it, Einstein’s pen … or at least one of them … at least the one that he used to write his most important work. What’s next, you ask? I wonder what pencils he liked to use. 17 Responses to Has anyone seen Einstein’s Pen? Why don’t you do some research about Kurt Godel’s pen? He was one of the most famous mathematicians ever in mathematics history. Interesting idea. He was known to be meticulous with his records – often keeping receipts of the most mundane purchases – so there may be something to find. If you are interested in learning more about Godel, there is a great book by Rebecca Goldstein called “Incompleteness”. I really wonder what type of pen which Riemann used to write down his famous hypothesis! Interesting. Not sure what pen Godel has in his pocket. Maybe someone reading these comments can let us know. Just saw your post and thought I could give you a little bit of information on Einstein’s pen since I’m Dutch. It’s indeed currently in the Boerhaave museum (science museum) in Leiden. 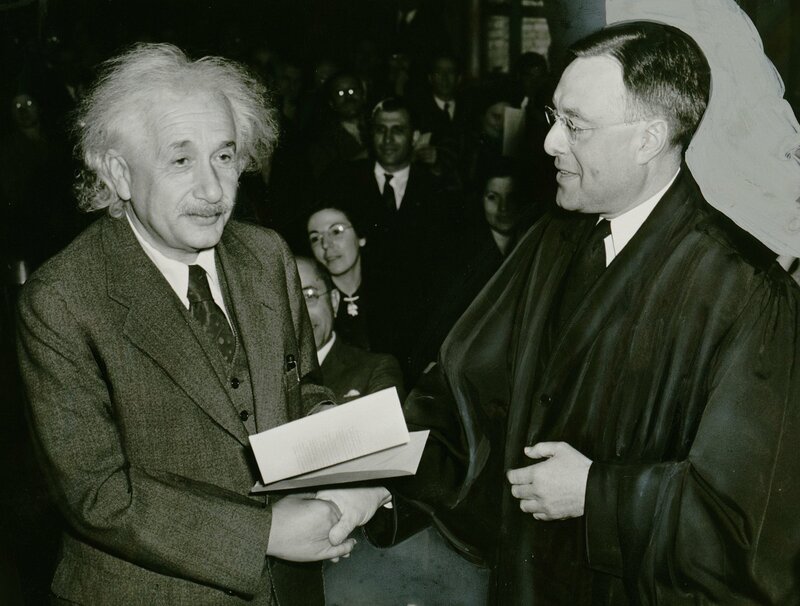 Einstein was a “special professor” at the Leiden University and visited Leiden regularly – he indeed gave the pen to his good friend Paul Ehrenfest, who, I think, donated it to the museum. In the video the pen was in the museum’s depot, but thankfully, currently it’s on display. I went to the museum today and bumped into it (did not know it was there) and was quite fascinated by it, which is sort of how I ended up on this page. Thanks for the information! It’s good to know that it is currently on display as something so historic should be available for the world to see. If you ever get a chance to take a picture of it on display, I would love to add it to the post. That pen is not the same one that can be seen in the video footage, is it? I don’t think so but I am sure that someone who visits this page will certainly know. very interesting! i don’t have any further insight on this, but I never really thought about the significance of the writing utensils of the brilliant people who came up with these concepts–it seems like it’s a cool topic to research.